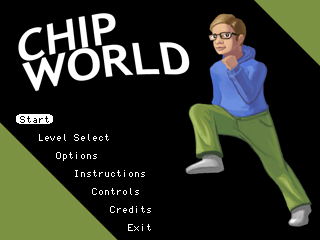 Chip World is a complete re-implementation of the Windows version of Chip's Challenge. 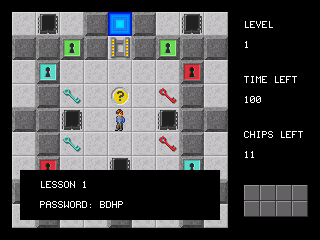 Help Chip win the respect of Melinda, to join the Bit Busters club. 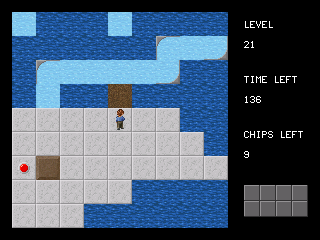 For this, Chip must complete a number of challenges set up by Melinda. 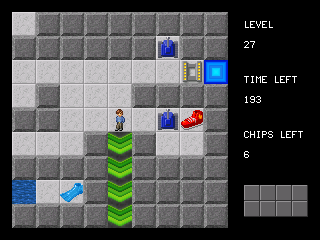 Chip must collect all the required micro chips to be able to pass the socket, and get to the goal.